For my first HF antenna I selection a basic 40m band dipole primarily as a simple antenna that provided access to one the most versatile amateur HF bands. All basic 40m dipole antennas have a significant potential second advantage that of having a direct third harmonic relationship with the amateur 15m band allowing the antenna to load reasonably well on 15m as well as the 40m band. Figure 1 Typical HF dipole configuration complete with 1:1 balun and 50ohm coax cable to transceiver. Half wave length of copper wire, fed at the centre with a 1:1 balun and coax cable to the transceiver. This antenna configuration when cut to suit the 40m band will provide an approximate 50 ohm feed point impedance for both the 40m band and the third harmonic band of 15m and may not require an ATU for most of the coverage of these two bands. The 1:1 Balun, shown in the drawing, is to transform the balanced dipole to an un-balanced coax transmission line. Frequency in MHz, K = K factor refered to in the below chart. 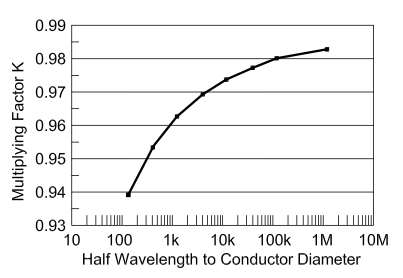 Figure 2 'K' Factor chart that determines the element multiplier factor based on the ratio of the diameter of the conductor diameter to a half wave length. Using these formulae it is possible to calculate the length of a half wave dipole. Even though calculated lengths are normally quite repeatable it is always best to make any prototype antenna slightly longer than the calculations might indicate as it is better to make the dipole slightly too long than too short so that it can be trimmed to achieve the best possible match on both bands. Figure 4 Produced with data generated from 4NEC2 antenna modelling software. Clearly shows the ideal SWR dips at the lower edge of the 40m band and upper middle of the 15m band. The 4NEC2 antenna model indicated that the minimum SWR on the 15m band is higher than that on the 40m band and that the 15m SWR dip is higher frequency than would be expected if the dip was absolutely third harmonically related. 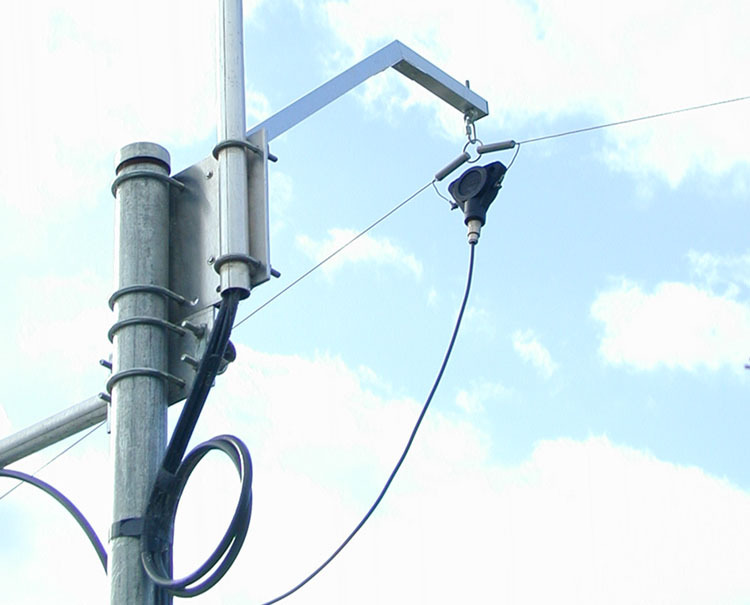 In my particular experience of the real antenna it was found that both the 40m and 15m bands offer practical access to both bands, however it is likely that the real world result will vary from installation to installation. Figure 5 Radiation plot for the 40m band were produced using NEC based antenna modeller and optimizer 4NEC2. Figure 6 Radiation plot for the 15m band were produced using NEC based antenna modeller and optimizer 4NEC2. The physical assembly is extremely simple and cost effective consisting of standard electrical copper wire with the insulation removed, light weight end and centre insulators fashioned from fibre-glass rod. The centre insulators and support attachment consisting of a heavy duty stainless steel key ring. See the below photo. Photo 1 Inverted 'V' Dipole and 1:1 balun assembly.